During his previous run-in with BraveWords (February 2016), Westerholt outlined the band’s on-off writing process for what would become Moonbathers. You have to wonder, however, if the band ever considered the danger of coming up with a batch of songs that weren’t cohesive in the end. Life can turn on a dime, and the mentality you have at one point may be totally different three months later. 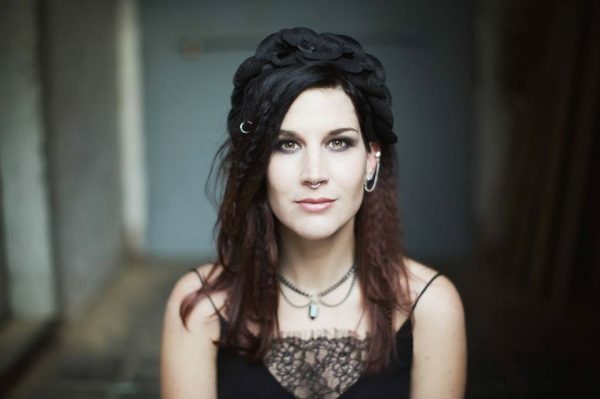 There’s no question vocalist Charlotte Wessels came into her own on The Human Contradiction, and she somehow managed to top that performance on Moonbathers. No longer generic by a long stretch, she uses her voice as a multi-faceted instrument over the course of the new record with (admittedly unexpected) brilliant results. It’s safe to say the live exposure Delain received for The Human Contradiction forced Wessels to up her game.